You can show off your love of nature on your porch or in the kitchen with this Forest Folklore MatMates Mat. 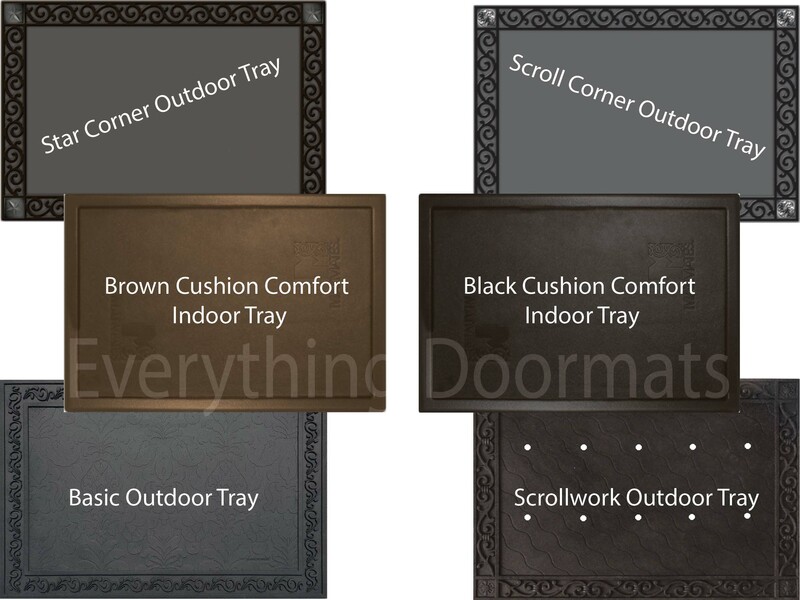 Made to be utilized indoors or outdoors this mat can be paired with our outdoor tray for a classy upscale look or our indoor tray for cushion comfort. Your mat was manufactured with a recycled rubber back that is environmentally friendly for the eco-conscious homeowner. The rubber is also slip resistant on most floor surfaces. Display your mat in the kitchen, on the front porch, in the den or by the fireplace. Attractive coloring and image is fit for any environment. This Forest Folklore doormat is 18" x 30" when used as a stand-alone mat. Note: The Forest Folklore Mat is pictured in our Cushion Comfort Indoor Tray. The outdoor trays and cushion comfort trays are sold separately.